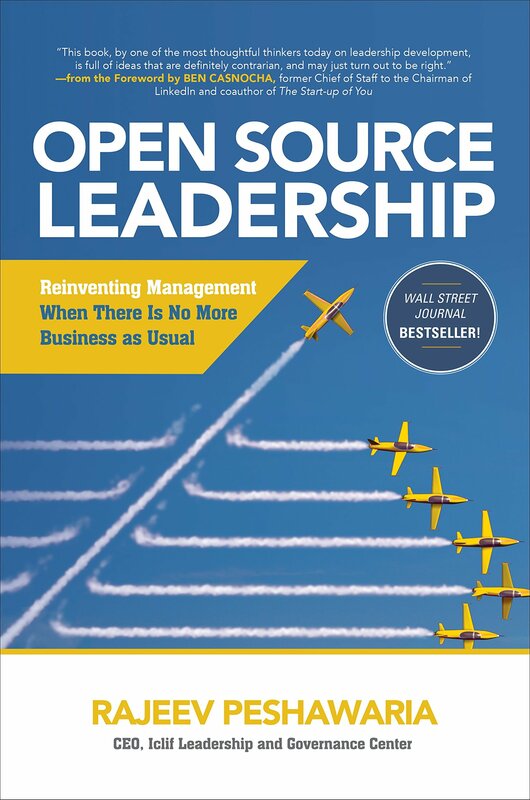 Rajeev Peshawaria discusses his new book: Open Source Leadership: Reinventing Management When There's No More Business as Usual. The digital age has democratized the workplace. Now employees can wield just as much knowledge and voice as their managers. It’s a profound change that is forcing an evolution in leadership. Rajeev Peshawaria, who heads the Iclif Leadership and Governance Centre in Malaysia, explores the idea in his new book, Open Source Leadership: Reinventing Management When There’s No More Business as Usual. He contends that leaders must learn to do things differently if they want their companies to innovate and survive. Peshawaria has held senior leadership positions at American Express, HSBC and Goldman Sachs, and he was chief learning officer at Coca-Cola and Morgan Stanley. He discussed his ideas on the Knowledge@Wharton show, which airs on Wharton Business Radio on SiriusXM channel 111. (Listen to the podcast at the top of this page.) The following is an edited transcript of the conversation. Rajeev Peshawaria: If you look at what technology has done in the last five to six years with the way we live at home and at work, there are two major things. One, ordinary people today are much more empowered than ever before because everybody has a super-computer in their pocket. I can join any debate I want to. I can say whatever I want to. Ordinary people are really empowered. Leaders, on the other hand, are totally exposed to the extent of being naked. The second thing is that the 21st century is facing both amazing opportunities as well as daunting challenges related to basic things like food, water, jobs, environment. When it comes to leadership in the 21st century in the open-source era, just showing up to work and telling people what to do is not enough. Just creating shareholder return is not enough. Leadership today has to be about a burning desire to create a better future and to not give up in the resistance that you’re going to face when you decide to do something different. As I was listening to this interview, it occurred to me that the author’s responses were remarkably familiar in the set of concepts, arguments made, but with some twists — familiar with Barbara Kellerman (Harvard Kennedy School)’s discussion of leadership / followers, technology empowering people and making leaders exposed, autocratic powerful leaders vs participatory types, and criticism of the size and ineffectiveness of the current leadership development industry. There were also several internal contradictions in the author’s assertions. Many assertions but no supporting theory, evidence, examples. Not satisfactory in my view.